Marie of Romania. 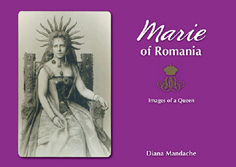 Images of a Queen, by Diana Mandache, Rosvall Royal Books, 2007. 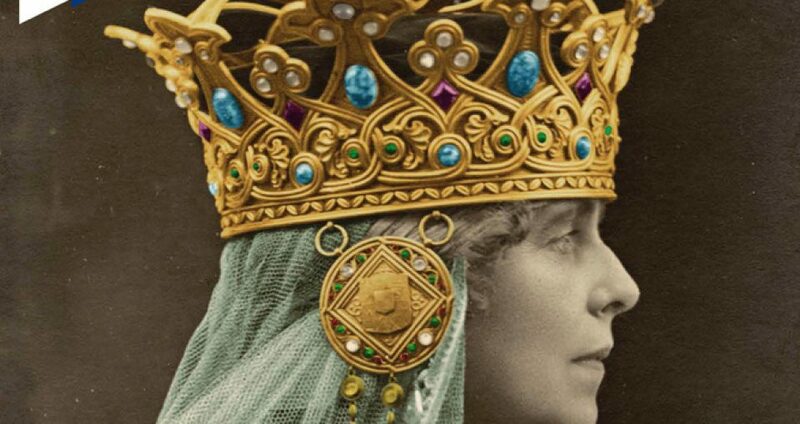 Marie of Romania was one of the most flamboyant and striking of consort queens. A strong personality, well aware of her own attributes and talents and of the power they gave her, she published her own account of her life – unusually for a queen – but also left, part by design, more by accident, a comprehensive life in photographs, showing her both as she was, and as she wanted to be remembered. This new book by Diana Mandache draws on that vast legacy of photographs to present a visual chronicle of Marie’s life. The introduction focuses on the Queen’s developing relationship with photography, from the formal portraits of her childhood, through her own experiments with taking photographs and, more importantly, her dawning awareness of the use of photography to present an public image. Her early married life coincided with the time when news photographs first exploded onto the scene, recording not only what famous people looked like, but also what they did, and spreading their image around the world. Through the First World War, when Queen Marie’s tireless efforts on behalf of Romania were captured on film, and into the 1920s, arguably the most triumphant phase of her life, it seemed that the camera could not get enough of Marie and as her star began to slid inexorably, towards the end of her life, still the photographers were on hand to watch and to record. The album itself is chronological and begins with some delightfully unfamiliar images of Marie’s early childhood from the Royal Archives at Windsor. We see her alone and with her sisters; with larger family groups, through childhood and into her teens, then to her engagement when she was still little more than a child. There is one extraordinary photograph in which she appears to be trying to outstare her fiancé, he to be avoiding her eyes. 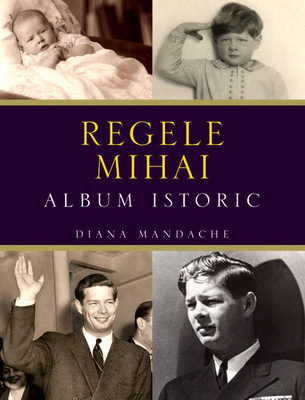 Next the pictures chronicle Marie’s arrival in Romania, her early married life and the births of her children. In passing, Diana Mandache makes some interesting comments on points raised by the photographs – the wearing of national costume by royalty, say, or Marie’s fondness for building little houses, follies, almost, on the various royal estates. 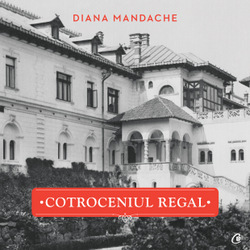 There were difficulties in the marriage and these are touched on: Diana Mandache does not mention the suggestion the third child, Princess Marie, was not the Crown Prince’s child but she does introduce a story I hadn’t heard, of an affair between the Crown Princess and a naval cadet named Andrei, who rescued the same child from the sea after a fall from a naval cruiser. The story is accompanied by a photograph of the sailor holding the little girl. Through the pre-war years we see Marie’s children growing and changing. We see their mother’s artistic interests, and there is a fascinating section on a famous costume ball described in her memoirs. We see Marie in military uniform, royal visitors from overseas, and a section of photos devoted to the famous meetings between the Romanians and the Russian Imperial family at Constantza in 1914. Then comes the accession and the First World War – passed over quite briefly in one double-page spread: then the post-war years when Queen Marie’s name was made on the international stage. The book contains some good spreads of pictures of the coronation and of the marriages and families of the Queen’s children. Into the 1920s we see her receiving diplomats, travelling overseas and continuing her work on behalf of Romanian charities. Her enthusiasm for flowers – shared with her husband – is represented, before the album moves on to the turbulent and difficult years that followed King Ferdinand’s death. The last photographs – very moving, I thought – show the Queen in her final illness; then we see her funeral and her burial place, and the text concludes with the sadly ironic story of the Queen’s heart, which was not allowed to rest at Balcic as she wished but has been moved several times and is held now in the National Museum – a fate I fear she would have hated.